UPCOMING! 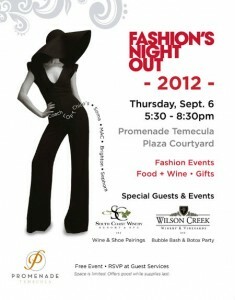 September 6, 2012 – Mike and Brian will be at Promenade Mall in Temecula!! Mike and Brian will be performing LIVE at the Temecula Promenade Mall’s FASHION’S NIGHT OUT event from 5:30pm to 8:30pm in the courtyard! August 10, 2012 – Brian is LIVE at BIN189 Lake Arrowhead Resort and Spa!!! Looking for something to do on this nice WARM (ugh!) Friday Evening?? How about heading out to BIN189 Lake Arrowhead Resort and Spa…Brian will be performing from 8:00pm to 11:00pm TONIGHT!! !